A Blind Dog Has His Own Guide Dog! Whenever you see a guide dog roaming the streets, it’s usually helping a human who can’t see very well. 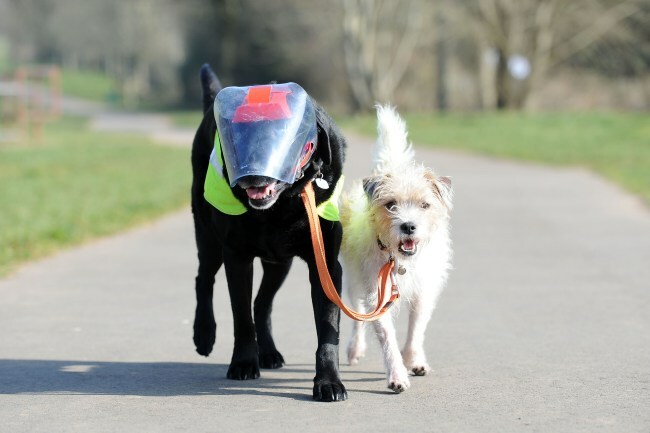 But one guide dog has decided to help out his blind friend Eddie – who’s also a dog. That’s right! Eddie the labrador can’t see anything so his best friend Milo the terrier helps him out. Milo takes Eddie for walks, helps him play fetch and bring him back if he wanders off! And when they’re not out and about, they can’t bare to be apart and hang out together inside. If you love cute animal stories like this you should listen to The Animal Hour on Fun Kids every weekday from 2pm!